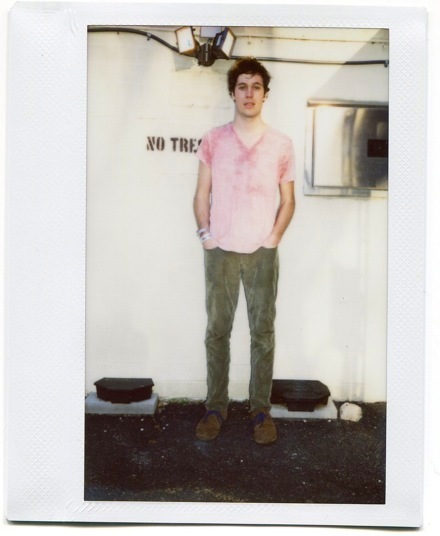 After releasing two EPs in a row in 2009 (Life of Leisure & High Times), Washed Out took a bit of time off to work on new material for his debut album. Well, judging by the quality of his last single, the break really paid off! “Eyes Be Closed”, the single posted a few weeks ago as a free download, retains Washed Out’s signature chillwave sound, with gently pulsing Balearic beats, synths galore and somber, filtered vocals. Ernest Greene, the young multi-instrumentalist behind the project, has been making synth-based downtempo electronica out of his home studio in Perry, Georgia for barely two years but he’s already earned major accolades in the biz. His songs have been featured on many major music blogs and even on some TV shows. There’s always a sense of longing and distance in his blurred sounds and this is probably make them so evocative and appealing to a wide audience. No wonder labels were lining up to sign him after he released his first EPs. i was actually going to post these same 3 songs up a bit ago. That RAC remix is heaven.